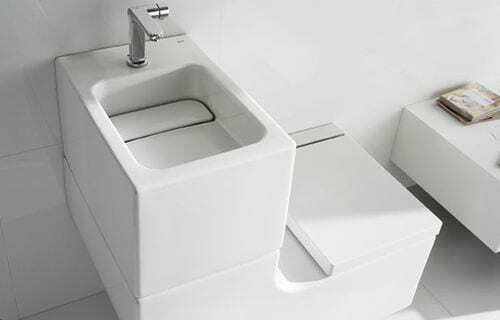 How about the W+W space saving and innovative Toilet and Sink, or as the Europeans would say washbasin / watercloset designed by the Gabriel & Oscar Buratti for Roca, a world leader in fashionable and functional bathroom features. Many bathroom designs are compact in size and the W+W takes up the space normally dedicated to a simple bathroom vanity or sink stand. Roca has been on the forefront of modern bathroom and wellness product worldwide for almost a hundred years.